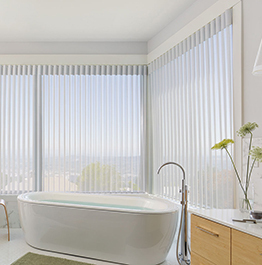 The elegant luminette combines the softness of sheers with the privacy of drapery. 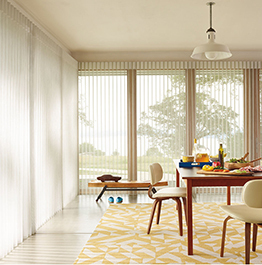 Luminettes are a unique product available only from Hunter Douglas. 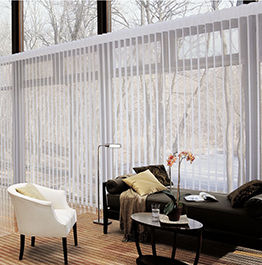 These vertical sheer window treatments are well suited for larger, rectangular windows and sliding glass doors. 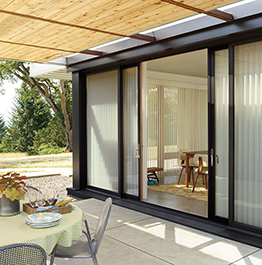 Available in widths of up to 16’, this is a beautiful product needs to be seen to be appreciated.